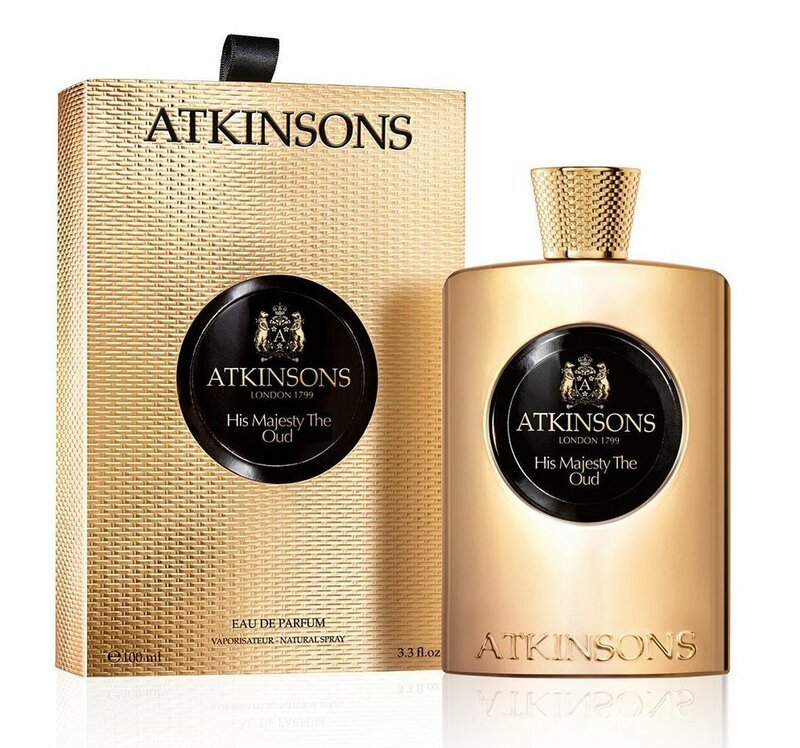 His Majesty The Oud is a popular perfume by Atkinsons for men and was released in 2016. The scent is smoky-spicy. The longevity is above-average. It is being marketed by Perfume Holding. What a feeling you have to have to wear the scent. Just be relaxed and let the fragrance unite in you, this is a devotion that can captivate you all day long. The prelude is herbaceously indefinable, perhaps a mixture of herbs from earlier years or from a jungle in the Amazon. But I didn't let myself be unsettled, because the scent quickly had a grave attraction that didn't let me go. A creamy spicy sweetness was added, which did not seem too pushy for a man for me, however, but harmonizes very beautifully. Memories were awakened, the scent is like a magic that reminds me of Habit Rouge and the classic Sauvage. Only this always appearing magic is created totally modern and I'm happy that I couldn't smell the old scents anymore. What an experience, I am thrilled, that this fragrance mixture with the initial herbs develops into a lasting miracle of fragrance art, especially this interplay of the scents to be perceived is gigantic, that you think again and again how many fragrances I actually wear. It's just His Majesty the Oud who saves with Oud but doesn't care! Write the first Review for His Majesty The Oud!